President-elect Donald Trump has been unclear so far on how many of his campaign pledges he actually intends to see through. Hopeful Democrats and moderates have clung to this uncertainty as reason to hope that a Trump presidency wouldn't be as bad as they feared. And on climate change, Trump has sent some mixed signals. He famously called global warming fake in a 2012 tweet. But in an interview with The New York Times on Nov. 22, he said that he has an "open mind" concerning a global climate accord, and that there is "some connectivity" between human activity and climate change. As an ethicist who looks at issues around climate change, I'd like to take Trump at his word, and make the moral case that an open-minded president would not risk becoming responsible for the human suffering his proposed climate policies will cause. During the campaign, candidate Trump said that he would "cancel" the Paris Agreement, a deal signed by most of the world's countries to reduce greenhouse gas emissions. As president-elect, he has said his administration will massively invest in coal and fossil fuels and cancel financial commitments to the UN for climate programs. These steps echo similar vows he made as a candidate, such as bringing back the coal industry and building the Keystone XL oil pipeline. Since the election, there has been significant analysis regarding how much of this agenda he can do, and just how bad it would be for emissions. But we cannot overlook that the climate policy agenda laid out by candidate Trump would be obviously bad to some degree. Trump can't "cancel" the Paris accords (even formally withdrawing takes 3-4 years), but he absolutely can signal his intent not to live up to the agreement - particularly by undermining Obama's signature environmental achievement, the Clean Power Plan. And while it's also true that market forces will likely continue to push us toward renewable energy, they will not do so fast enough. Why? The Paris Agreement, as written, is already insufficient to prevent dangerous climate change. Indeed, a recent report reveals that full adherence to the agreement by all nations will limit warming only to 2.9-3.4 degrees Celsius - a far cry from the aspirational limit of 1.5 degrees set by the Paris Agreement itself. That means that the agreement requires strengthening, not weakening. If the U.S. drops its commitment to cut national emissions, in the best-case scenario all nations other than the U.S. keep (and strengthen) their commitments. Recent modeling suggests that a Trump presidency results in "only" an additional 3.4 billion tons of carbon emitted compared to a Clinton presidency. The worst-case scenario, however, seems far too realistic. Some of the nations of the world will almost certainly be required to act against their own self-interest to some extent; that is, the economic incentives alone will not push the world fast enough toward the ultimate goal of net zero (or negative) emissions. And when these nations see that America - the world's second-largest emitter - is not doing its part, they will decide that it is not rational for them to prioritize low-carbon energy just so the Americans can work to undermine their progress. And the already-too-weak plan will weaken further. President-elect Trump, then, is in a radically powerful position to do either good or harm. Because the current global agreements are already too weak, there is every reason to believe that we will cross the 1.5 degree (and likely the 2 degree) threshold. Already, climate change is causing problems, such as more extreme weather events and rising seas. Scientists have said pushing global average temperatures higher than 2 degrees above preindustrial levels will lead to "dangerous" changes with more severe effects. The real question, then, is how long will global temperatures remain in the "danger zone"? Asked another way: How many additional years would the world spend at dangerous temperature levels because of Donald Trump's proposed policies? 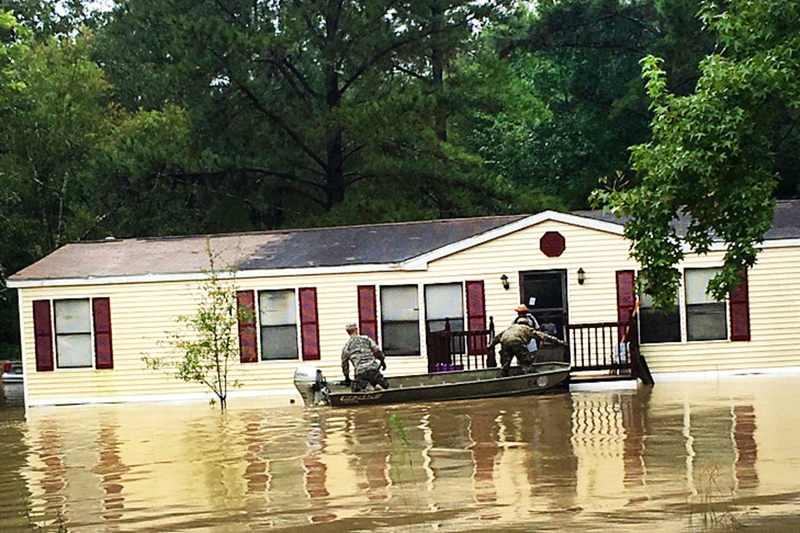 Climate change has increased the likelihood of storms such as the deadly floods this year in Louisiana. Under the most optimistic scenario, it could be only a few - perhaps the rest of the world would rally and cap the damage that a rise in U.S. emissions causes. But under the less optimistic scenario, it's not unimaginable that the needed, aggressive action on climate change could be set back by a decade or more. Such a delay would be a moral catastrophe. Climate change is already having deadly effects, such as deaths from climate-worsened storms. The World Health Organization estimates that by 2030, climate change will cause 250,000 additional deaths per year, due to malnutrition, malaria, diarrhea and heat stress. This doesn't include the deaths and suffering from other extreme weather events, displacement or armed conflict, nor does it account for those resulting directly from air pollution. Spending additional years at that level of warming, then, could result in literally millions more people dying. For most of us, moral responsibility for the harms of climate change gets diluted, thanks to the sheer scale of the problem. When I drive my car, take a vacation or keep my house warmer than I need, I contribute infinitesimally to climate change through my emissions, and so it is reasonable to think that my responsibility for the consequent harms is relatively minor. Indeed, this is precisely the feature that makes climate change such a massively difficult problem to solve. This will not be true, however, for Donald Trump. He has the power, as an individual, to undermine or protect U.S. environmental policy. And so he also bears the moral responsibility for the death and human suffering that may occur as a result. President-elect Trump has, as a result, an incredibly solemn task ahead. He can act as he indicated he would, with the predictable result that many thousands, if not millions, of people will die needlessly. Or, he can prove his open-mindedness and reconsider. Would understanding his moral responsibility have any influence on the president-elect? It's certainly possible that it would not. But we cannot allow him to act under the impression that his actions won't have consequences or that his hands can remain clean if he causes great human suffering. Every day until inauguration (and likely beyond), Donald J. Trump must be reminded of the awesome responsibility he has by virtue of his ability, nearly unilaterally, to decide the fate of our environmental policies moving forward. Lives depend on it.